It’s Christmas time again and finding the perfect gift is on everyone’s mind. This year, try gift giving that says I love you to your friends and family by matching it with their love language. Ever heard of the 5 love languages by Gary Chapman? This book helps people understand that we have different ways of feeling loved. The 5 main love languages people fall into are: Words of Affirmation, Acts of Service, Quality Time, Receiving Gifts, and Physical touch. It’s not limited to adults- kids have a love language too. Knowing the love language of people you love is a great way to make sure your love is being communicated effectively. Here’s a short video from Chapman’s website that gives you a picture of the 5 love languages being acted out. Do you know the love language of your spouse, children, or friends? If so, you may want to give them a gift that says I love you that matches with their love language. As you will see, many of these don’t require money or wrapping! If you’re creative, write a song and sing it on Christmas morning. Do a chore all day on Christmas that he or she would usually do. Cook a meal, do the dishes, make the bed, pick up all the wrapping paper trash, etc. Put a date package together. Get a gift card or two and write a note asking if you can go on a date together. Well this one might seem easy this time of year. But one thing to keep in mind is that you find a gift that shows you know your loved one. Your gift should reflect that you are listening, watching, and you were thinking of them when you bought it. A random gift doesn’t mean the same. Think of something that could make their life easier. Think of one of his/her favorites. What is something they would never buy for themselves, but they have always wanted? These are good places to start when it comes to someone with a love language of receiving gifts. Sit by each other on the couch. Touching when you’re near is a good thing! If there is snow, go outside together and play. Be sure to tackle each other too! 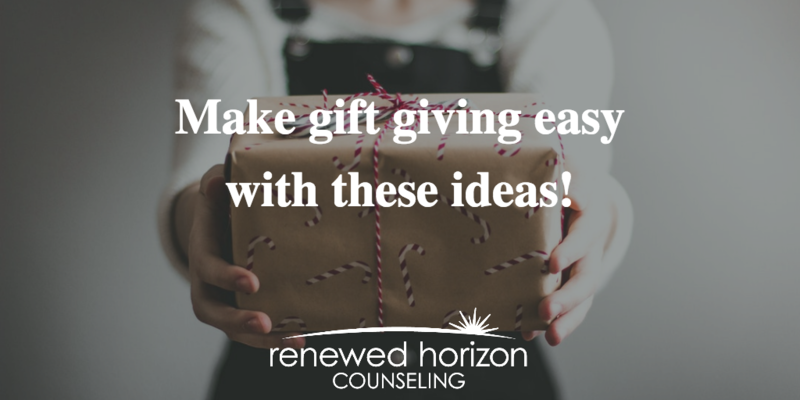 There are endless ideas, but hopefully these will get you brainstorming to give gifts that match with your loved one’s love language this Christmas. Happy gift giving!